HARRISBURG, Pa. – The Pennsylvania Department of Environmental Protection (DEP) announced that it is conducting a five-year environmental surveillance of ticks to assess the risk of tickborne illnesses across Pennsylvania. Funding for this project is being provided by the Pennsylvania Department of Health. 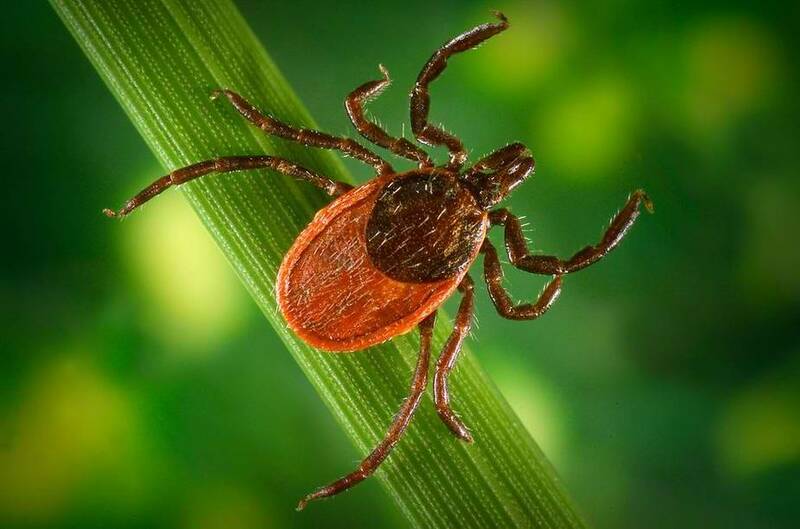 The survey, which started in July 2018 in coordination with county governments, is part of the Pennsylvania Lyme Disease Task Force recommendations for combatting the growing incidence of Lyme and other tick-borne diseases. It is funded annually through the state budget. The survey is taking place in every county in Pennsylvania to track ticks’ habitats, life stages and peak activity levels and to test them for human pathogenic diseases. Additionally, 38 counties are conducting a specific survey of nymphal blacklegged (Ixodes scapularis) ticks, which can transmit Lyme Disease to humans. Ticks are collected using white felt drags that sample low-lying ground cover and understory vegetation for questing ticks. Fall and winter surveillance focused on analyzing adult blacklegged ticks for emerging and changing disease burdens in public use habitats across Pennsylvania, such as parks, playgrounds or recreational fields. The spring and summer surveillance will focus on collecting three tick species: the blacklegged tick in its immature nymphal stage, when it most often infects humans with Lyme disease, as well as human babesiosis and human granulocytic anaplasmosis; the adult American dog (Dermacentor variabilis) tick, which transmits Rocky Mounted Spotted Fever and Tulameria; and adult lone star (Amblyomma americanum) tick, which transmits Ehrlichiosis and Tularmeria. The nymphal stage of the blacklegged tick causes the most tickborne illness in Pennsylvania due to its size and activity period. It is significantly smaller — about the size of a poppy seed — than the adult and therefore less likely to be discovered on the human body. Since July 1, 2018, DEP collected 3,663 adult black-legged ticks for testing.